Dark Nights: Metal #6 – Comicdom Wrecks! April 14, 2018 J. R.
With the release of Metal #6, Scott Snyder and Greg Capullo’s epic comes to a close. At the end of Metal #5, Batman and Superman had decided to dive into the world forge, and Wonder Woman was leading a charge of two, Kendra and herself, against the entire army of Barbatos. Batman and Superman had found the World Forge, and decided to take a leap into it, thinking they had found a spark of light in it. 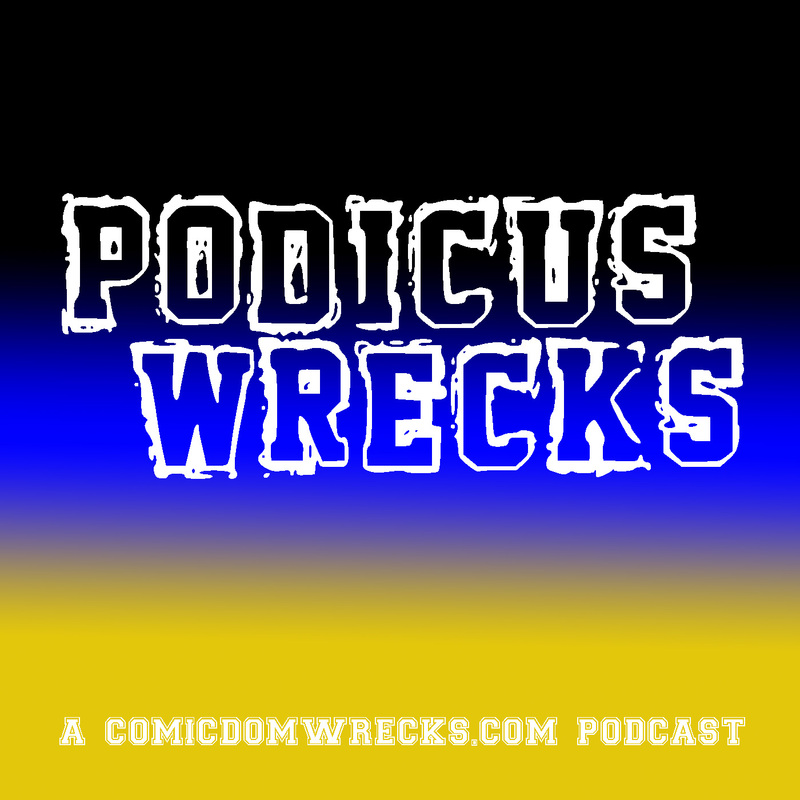 So how does Scott Snyder and Greg Capullo’s epic end? Well, it’s definitely going to be a strange trip. Again, some thing will probably be left out of this write up, as just too much happens. While most of it provides for a really cool moment, I’m not certain if it’s vital to the story right now. Here’s the finale of Metal. Wonder Woman and Hawkgirl attack the forces of Barbatos, who hold the rest of the Justice League prisoner. Using her bracers and Hawkman’s axe, both made of special metal, strikes a note loud of enough to snap the Justice League out of whatever haze they were in, and inspire them to start fighting again. Mr. Terrific gets Plastic Man to come out of egg form, and best way to put it, he goes off on the forces of Barbatos. Wonder Woman has Hawkgirl lower her into the portal that Barbatos’ forces came from. There, she runs into Hawkman. However, Hawkgirl is able to get through to Hawkman, so Barbatos strikes hims down Wonder Woman herself dives into the forge, and emerges with a younger looking Batman and Superman, all of them wearing bright, shiny armor made from Element X. Now there’s lots of fighting. The giant Hawkman gets back up to fight Barbatos directly. Batman goes down into a cave to confront the Batman Who Laughs, where we also find out that the bandaged person being held captive was the Over-Monitor. 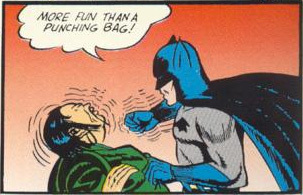 The Batman Who Laughs is getting the better of Batman, saying because he has prepared for everything Batman would think to do and has no rules holding him back. The only rule he has is that Batman always wins. This is when the Joker shows up. Batman Who Laughs thinks he’s there because he couldn’t resist the opportunity to kill two Batmen. In fact, he’s actually there to help Batman. The way to beat someone that has prepared for everything that Batman could possibly do is to do something that Batman would never do. We don’t actually know what happens to the Batman Who Laughs, as the Joker chases after him. In the outside fight, we see the other dark Batmen fall. And Hawkgirl flies through Barbatos. The Over-Monitor tells the heroes that they can use this Tenth Metal, and let out a call, a song if you will, that will pull everyone else out of the dark, and restore the Earth to its proper place. There’s a whole lot of light, and everything works without any repercussions. Well, of course not. Apparently, the heroes send this song of light to far, and it crashes through the source wall at the edge of the Multiverse. What comes from that will be dealt with in Justice League. Bruce Wayne apologizes to all of his comrades for basically causing this whole thing. Kendra does tell them that there will be fallout from what has happened. Basically, this is just a couple pages of teases about what is coming up in some future stories. But that’s all coming later. Right now is the time for partying with a rock concert in Stately Wayne Manor, because how else is a mini-series called “Metal” supposed to end? The final pages see a tease of blueprints for the Hall of Justice. In all, Metal was a really fun story that didn’t always make a lot of sense. But those types of events may be the best DC events. DC Comics always seem to be at their best when bordering on the mythological. I don’t mean when using Greek or Roman mythology. What I mean is when DC takes the universe they have created, The Multiverse, the Metals, the Gods, and builds upon it. This story does that. It takes small pieces of what has come before, carves out its own little spot in the history of DC, and opens up possibilities for the future. What could possibly exist beyond the Source Wall? I have no idea, but I’m interested in finding out. If the World Forge is working properly again, does that mean that we could expand beyond the 52 universes? We’ve gone through this event, and have come out on the other side with a wide array of possibilities ahead. Hope you enjoyed the ride, and even if you read all of my articles on the Dark Nights event, you should go back and read the issues. Or buy the trade when it eventually comes out.